A premium data migration solution that’s fast, comprehensive, and reliable. 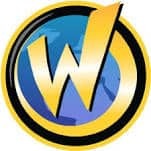 Founded initially as “Wizard Press,” the publisher of a monthly magazine named Wizard, Wizard World purchased the Chicago Comicon in the mid 1990’s to expand into the convention arena. By 2005, their events drew over 70,000 attendees, and they now host more than 20 conventions across North America. Wizard World is one of the premier Comic Convention organizers in North America. They offer tickets for special events, experience packages, and interactive opportunities with special guests. As part of their strategy to breathe new life into their brand and offer a better website experience, they decided to redesign their website and move it to Magento. All of this was accomplished with 100% accuracy, just in time for a major event.